There are no limits to what you can do with the massive streams of machine data generated by your business systems and technology infrastructure. Dive into hundreds of technical sessions designed to enhance your knowledge of Splunk products and apps. You’ll leave armed with new ideas and best practices to help solve some of your most pressing business challenges. Expand your skill set with our pre-conference educational training program. Technical classes offered by Splunk University are offered in a live, hands-on setting. Special pricing and Splunk certification are available to all Splunk University attendees. This is your chance to network with other Splunk enthusiasts. Swap stories about your digital adventures, whiteboard ideas and share best practices to get your creative juices flowing. Bring your team and get energized with new ideas to spark your own innovations. 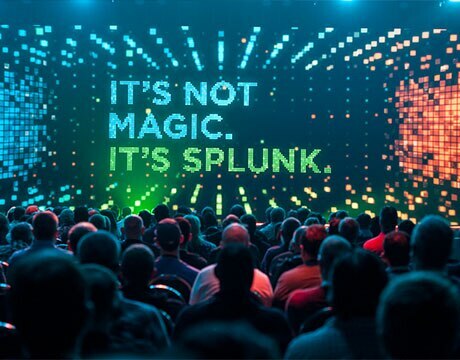 With Splunk solutions, you are limited only by your imagination. At the source=*Pavilion you’ll review the latest trends and technologies. Connect with dozens of Splunk partners to see how they enhance the value of your Splunk investment. Of course, it wouldn’t be a .conf event without some fun! Head to our source=*Pavilion for demonstrations, contests and giveaways. Enjoy interactive games and entertainment, and save some energy for the Search Party!, our must-attend .conf18 customer appreciation party.